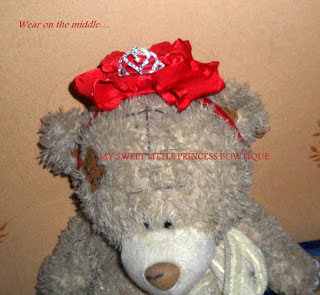 Little Miss Snow White wore a red big bow headband. 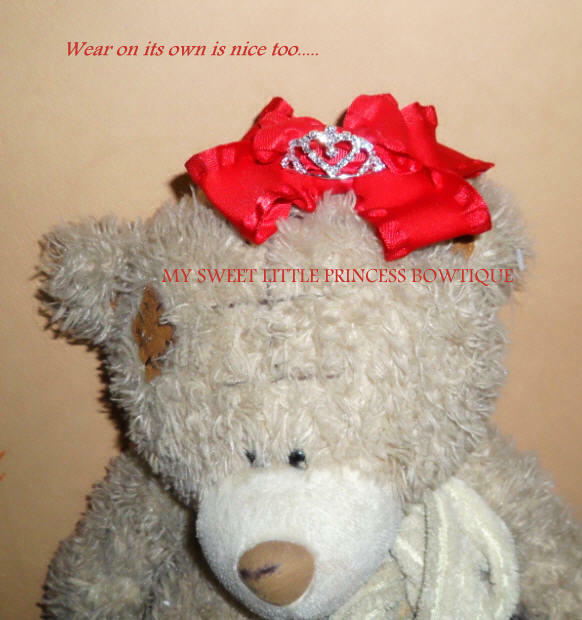 Here's a big red satin ruffle bow with a sparkling princess tiara. 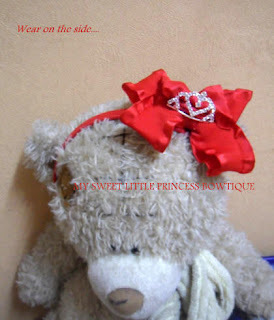 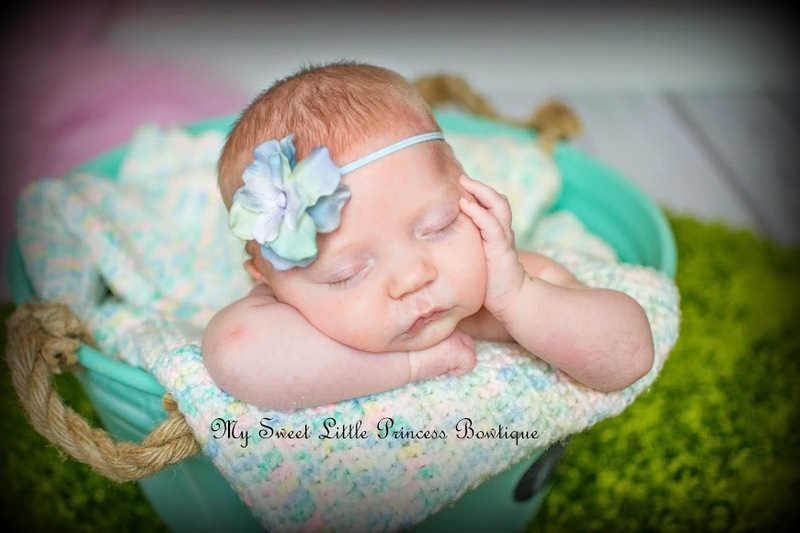 The bow is good to wear on its on or clip onto headband to wear on the side or center. 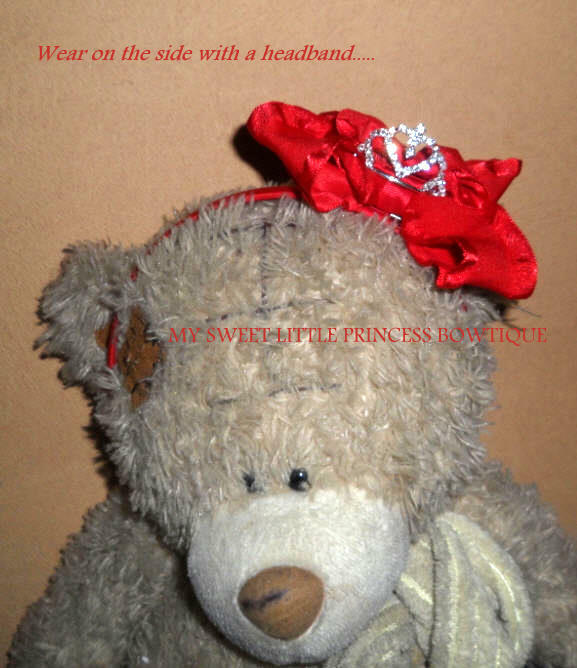 This can be interchangeable or non-interchangeable (non-interchangeable will look nicer). 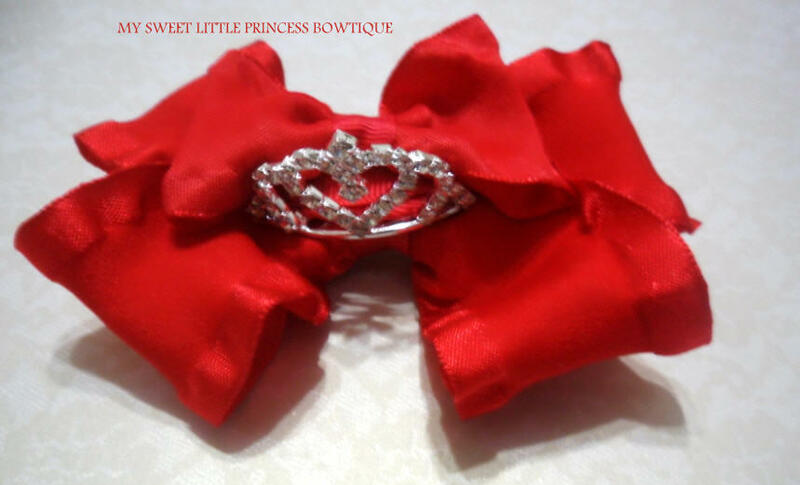 This bow is 4 inch wide, can be made smaller if you like.